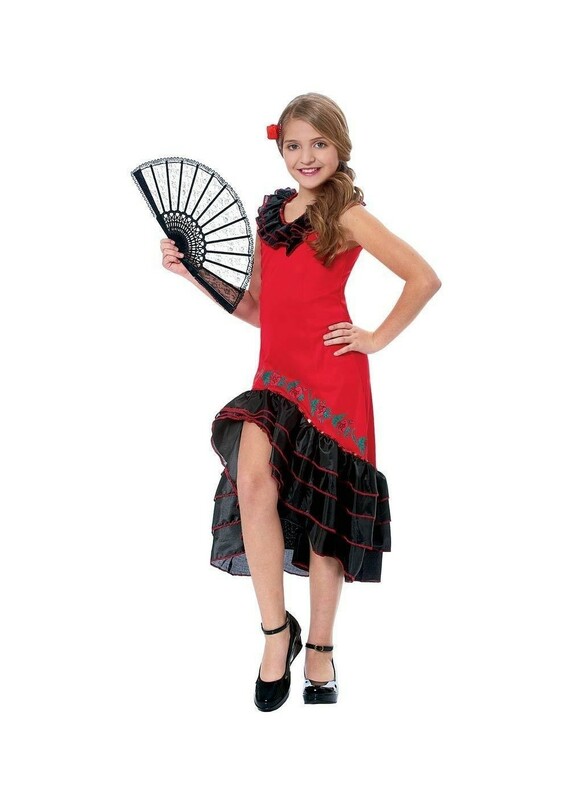 Costume includes one dress. Available in sizes Small and Medium. 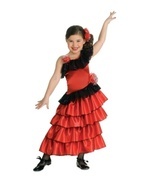 This festive attire will be a great choice for your next Spanish Flamenco or Cinco De Mayo party! Celebrate with style with this bold red dress with a black, frilled trim. The skirt of the dress features a small slit and flows when you twirl. 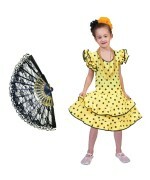 Review(s) for " Senorita Dancer Girl Costume"